A natural immune aid that is mixed with water and added daily the pet’s food and water dish. This safe and stable mixture of 5% Sodium Chlorite & RO water is especially helpful in supporting healthy immune functions and with the daily challenges of potentially invading pathogens. Additionally, the product offers many powerful topical uses (when diluted) that you will be amazed. 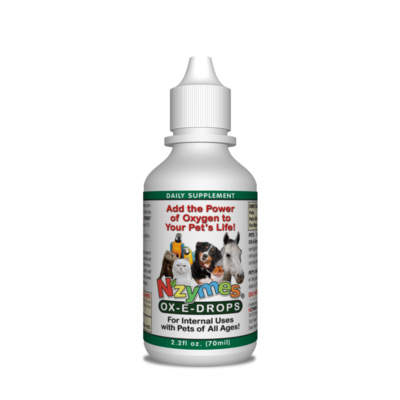 Every Pet Owner Needs NZYMES® Ox-E-Drops! Ox-E-Drops 2.2 oz for Pets – More and more people are recognizing the benefits of basic alkalinity for themselves and their pet’s diets. When the body is in a balanced alkaline state, there is less likeliness to suffer from chronic diseases. Foods and fluids consumed daily have a direct impact on the levels of acid and alkaline balance of the pet’s body. This balance is measured by determining the “pH value“, which tells you if the body’s fluids and tissues are more “acidic or alkaline“. A pH measuring negative 4.5, is very acidic, whereas a pH level measuring to positive 9.5, is highly alkaline. Ideally, the body of your pet is considered healthy and alkaline with a pH level of 7.0 or above. 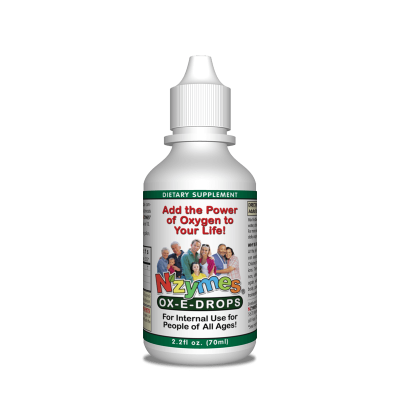 NZYMES® Ox-E-Drops is a safe and stable compound of 5% Sodium chlorite and Reverse Osmosis Water. It is naturally alkaline (pH 13) and the fluid is normally clear or slightly yellow in appearance. The few drops you use internally each day help provide and more stable pH balance for your pets while at the same time offering remarkable protections and immune support. Ox-E-Drops releases precursors, which assist the body in the removal of potentially dangerous free radicals and toxins; Regular daily use therein supports healthy immune functions and the fight against unwanted invaders. This alkaline product (pH 13) also helps support healthy digestion and promote better energy and endurance. Ox-E-Drops truly offers a wide diversity of INTERNAL & TOPICAL applications for your pet’s needs. Simple Uses: It is added to your pet’s daily meals and the water dish. It may be mixed with water for topical needs. Ox-E-Drops is used in many of our program for healthier pets. To learn more and read about how it is used with the NZYMES® “Healthy-Skin Program“, or the “Papilloma Program” and finally, the “Respiratory Program“. Give 1 drop of the Ox-E-Drops for each 20 lbs. of pet’s body weight with a minimum of 2 drops twice daily for small pets. 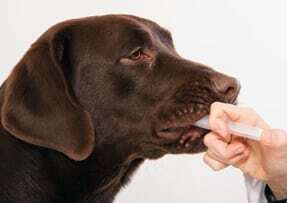 Dilute the OX-E DROPS with a teaspoon or tablespoon of water and add to pet’s food, or give orally using a syringe or dropper by squirting the mixture along your pet’s teeth-line to prevent choking. Pet’s Water Dish: Add the same amount of drops in the pet’s water dish each time it is filled, especially when traveling. 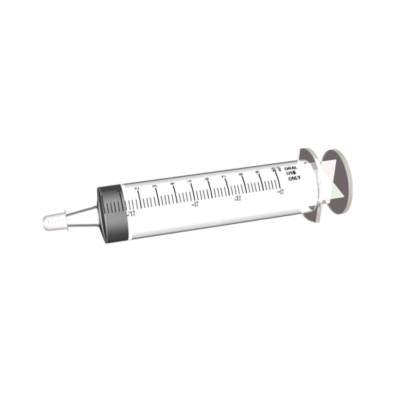 Using an Oral Syringe: You can also add the daily drops in a syringe diluted with 3 to 4 cc’s of water and squirt the mixture along the pet’s teeth-line to be swallowed safely to avoid choking. When Extra Immune Support is Needed: Increase usage to 3 times per day for a pet who has any type of low immune system issues or challenges. Mix one (1) teaspoon of NZYMES® Ox-E-Drops Concentrate and dilute it with 8 oz. (1 cup) of filtered or distilled water. Keep this mixture in a clean 8 oz. 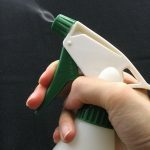 spray bottle for ease of use. WARNING: “Never Use Ox-E-Drops Undiluted”! Spray or apply the mixture to any affected area 3-4 times daily or ­as needed. Note – Store away from direct sunlight. “Ox-E 2% Diluted Topical Solution” is the perfect alternative to help support pets with “General Skin Damage, Problem Skin, Ear Discharge or Eye Gunk, Itchy Feet, Oral Warts and much more”. Ox-E 2% Topical Solution should be applied frequently at least 3 to 4 times per day. 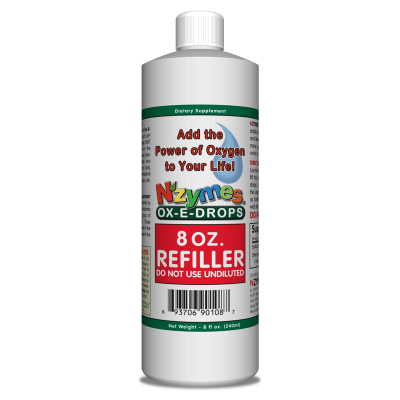 Ox-E-Drops must always be diluted with water before it is used topically. It has a pH of 13 and can discolor fabrics if direct contact occurs. If direct undiluted contact occurs with the skin, eyes or mucous membranes rinse or flush the area thoroughly with water.